WiFi Explorer 2.5.3 – Scan, find, and troubleshoot wireless networks. WiFi Explorer will scan, find, and troubleshoot wireless networks. Quickly identify channel conflicts, signal overlapping, or configuration problems that may be affecting the connectivity and performance of your home or office wireless network. Added Touch Bar support. You can now start/stop the scan, as well as quickly apply filters using the Touch Bar. Added support for Mist AP names. Added ability to filter by channel range. You can now use, for example, the filter expression 36-48 to display only the networks configured on channels 36, 40, 44 or 48. Fixed some issues when resizing the main window. Fixed appearance of checkboxes and other UI components when using dark mode in macOS Mojave 10.14. Other minor UI tweaks and enhancements. Next story Subtitle Studio 1.2.6 – A complete subtitle solution. Previous story Rocket Typist Pro 2.1 – Expand typed abbreviations. 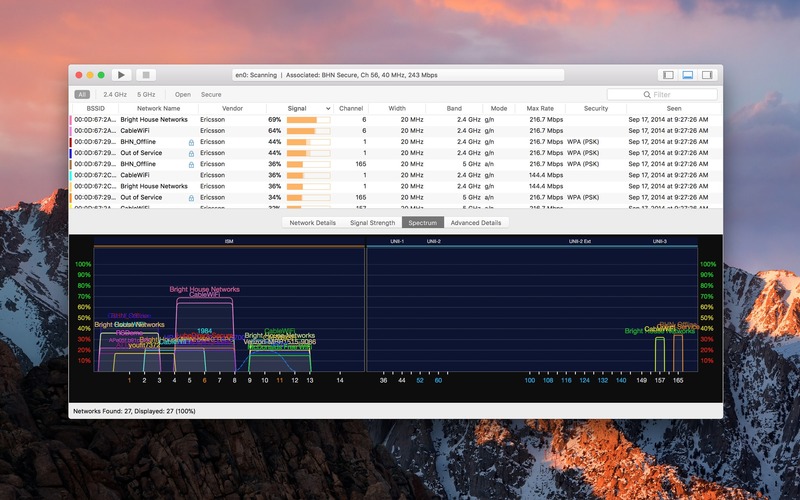 IP Scanner Pro 3.7.0 – Displays machines, users, and IP addresses of Macs on your network. Cookie 4.3.3 – Protect your online privacy. IP Scanner 3.49 – Displays machines, users, and IP addresses of Macs on your network.